People often ask us: Who gets into your housing programs? 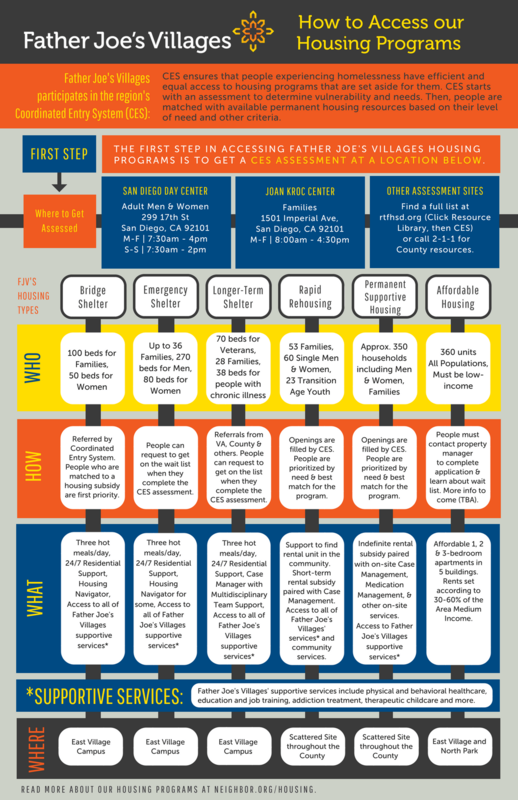 How can I help my neighbors in need get housing through Father Joe’s Villages? The answer depends on a number of factors, so we designed an infographic to help! If you’re currently experiencing homelessness, please visit our Get Help page for more information. You can also click here to download a pdf of this document. Click here to find contact information of affordable housing property management.